It’s greening up nicely here in Ames, Iowa! Today it was marvelous to just watch leaves blow in the wind. I love green lace time when tree branches are like nurseries full of baby lacy leaves, but today the leaves are like teenagers, big enough to blow around, wrestle and interact with the big blue sky. 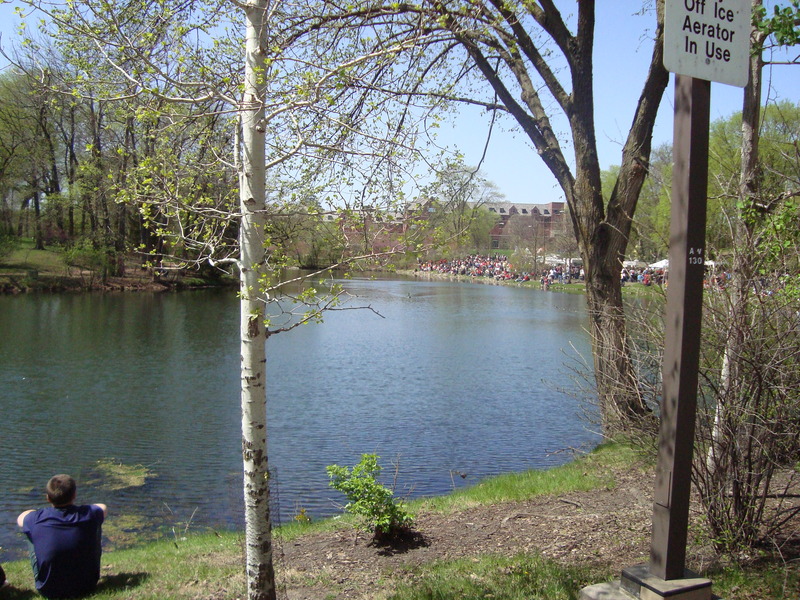 Here are some pics I took a week or so ago during ISU’s own home brewed celebration called VEISHEA, a word made up from taking the first letter of each of the colleges that make up the university. 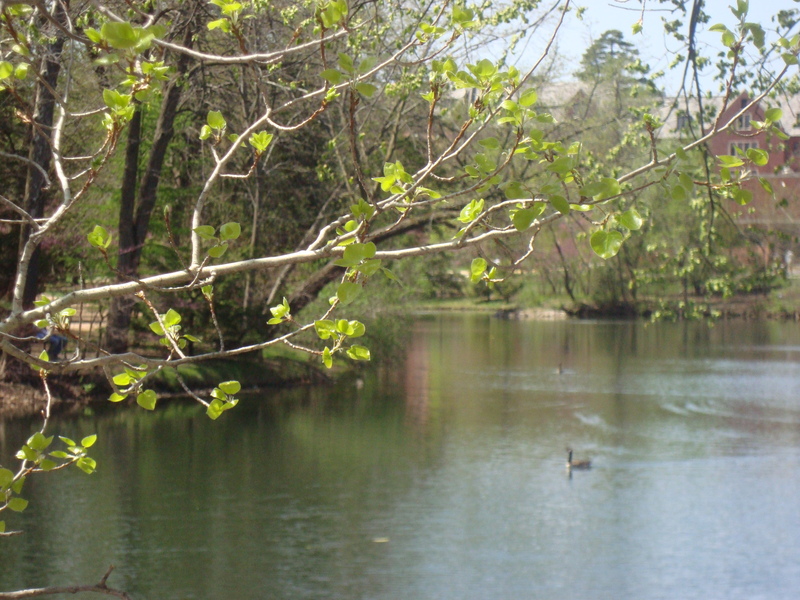 Our little Lake LaVerne next to the Memorial Union is one of my favorite places on campus. 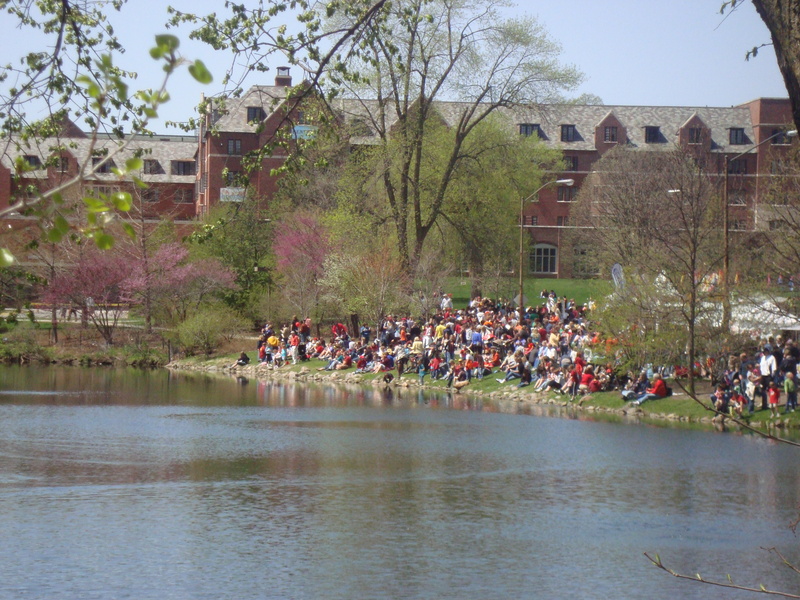 During VEISHEA there are canoe races and students and visitors sitting around the lake to watch. Next Next post: A Fabulous Day!